Sydney, Aug 3, 2016 (Global Fashion Wire) - Travelling the world goes hand-in-hand with the Fashion industry. 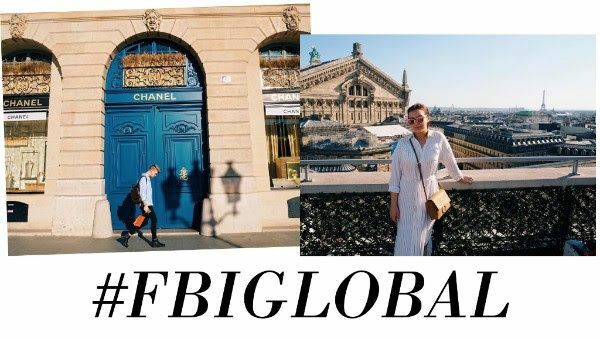 FBI Fashion College offers students unique international experiences early on in their journey, recently embarking to Paris with twenty Fashion students for a ten day study trip. FBI Students studied 'Luxury à la Française' from Parisian Fashion Industry professionals such as Justine Chomette the Mens Fashion Designer for Balmain and Maria Enciso the PR and Events Director for Chanel. Students also experienced Paris Haute Couture Fashion Week first hand, attending the Antoniortega Couture Show. FBI Global Fashion Experiences are available as an addition to courses in Fashion Business and Fashion Design, giving students the opportunity to immerse themselves in the Fashion capitals of the world. FBI Fashion College is enrolling now for Fashion Business and Fashion Design. FBI has been Australia's link to the Fashion Industry for over 20 years. Established in 1994, FBI began offering specialised courses in Fashion Business. Due to popular demand, a Fashion Design course was also added. Since then, the College has grown to offer a scope of 10 different course combinations of Fashion Business and Design.